Scott Cunningham --All titles. Excellent for beginners in Wicca who have a solitary practice although I recommend the encylopedia series for any pagan practice. Some of these titles include: Wicca for the Solitary Practitioner, Cunningham's Encyclopedia of Magickal Herbs, The Complete Book of Incense, Oils, and Brews, etc. Margot Adler -- Drawing Down the Moon. 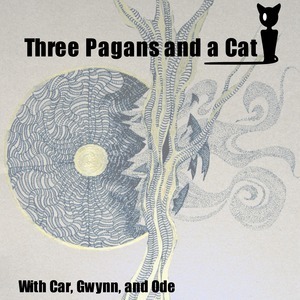 An indepth look and history of the modern pagan movement and a classic. Marian Green -- A Witch Alone. An excellent book for a beginner in Wicca but usefult to anyone with a solitary practice in the Craft. Morgan Daimler --The Morrigan, Fairy Witchcraft, Brighid, The Treasures of the Tuatha De Danann An excellent resource for Celtic mythology and pagan practice. Melusine Draco -- Witchcraft and...(series). A series of books for solitary practitioners of witchcraft rather than Wicca. Highly recommended. Arin Murphy Hiscock --The Green Witch, The House Witch. The Way of the Hedge Witch. Handbooks for those who want to practice a solitary path in Witchcraft without Wicca influences. Highly recommended. Laurie Cabot --All titles written by The Official Witch of Salem, classic book on magick and the Craft. Wiccan. Dorothy Morrison --EveryDay Magic. Utterly Wicked: Curses, Hexes & Other Unsavory Notions, Yule, Bud Blossom and Leaf. Wiccan practice. Christopher Penzcak--Temple Series (Inner Temple. Outer Temple) Wiccan practice for beginners. Anna Franklin --The Hearth Witches Compendium. This is filled with information on home, garden, beauty, correspondances, recipes and more. Highly recommended. Laura Tempest Zakroff --Sigil Witchery We reviewed this book. Recommended. Diane Alquist --Moon Spells A great book with information on moon phases, how to perform moon magick, spells, etc. Llewellyns Sabbat Series - The books are listed by the Sabbat (ie: Yule, Ostara, Samhain) and include information about the holiday, correspondances, traditions, ritual and spell suggestions, etc. Starr Casas-- _Old Style Conjure . A beginners book in Hoo Doo magick. Storm Faerywolf--Betwixt and Between (beginner book in Fairy tradition witchcraft), Forbidden Mysteries of Fairy Witchcraft (intermediate book in Fairy witchcraft. Reviewed on podcast. Recommended after first book is read). Jason Mankey--The Witch's Tool's Series. Excellent books for beginners in solitary Wicca.